Discovered by William Herschel in 1786. Planetary nebula NGC 2438 appears superimposed over the open star cluster M46, although it is almost certainly no member of the cluster, but a foreground object (see M46 for details). 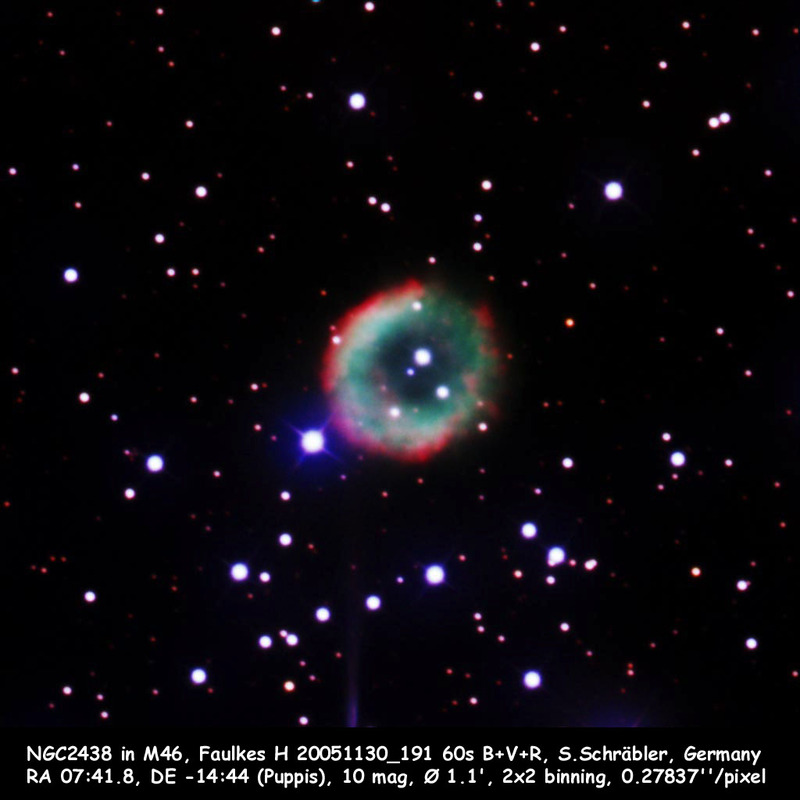 It is one of the discoveries of William Herschel, who cataloged it as H IV.39. 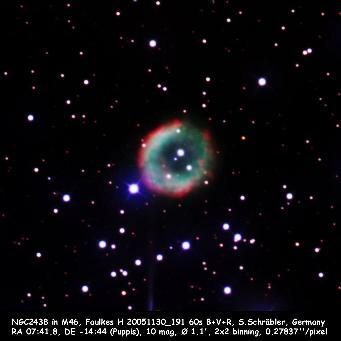 Our image was obtained by David Malin of the Anglo-Australian Observatory with the 3.9-meter Anglo-Australian Telescope. The image is a 3-color composit created from red, green and blue photographic plates. The faint central star appears close to a background star, which is probably a member of M46, as many of the other stars in the image. The central star of NGC 2438 is of magnitude 17.5 and exhibits a continuous spectrum. 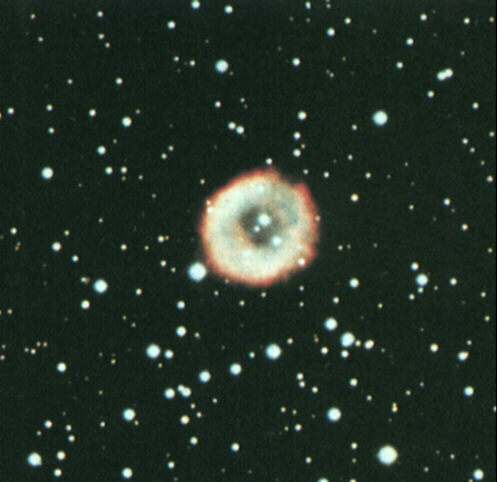 Long exposures by David Malin with the Anglo-Australian Telescope have shown that this planetary has an extended halo, extending somewhat beyond its apparent diameter of 66". 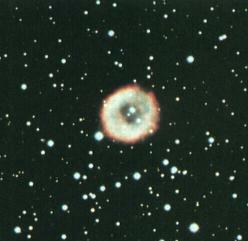 NGC 2438 in M46, as photographed by German amateur astronomer Dr. Sighard Schräbler. A 3-color composite CCD image. 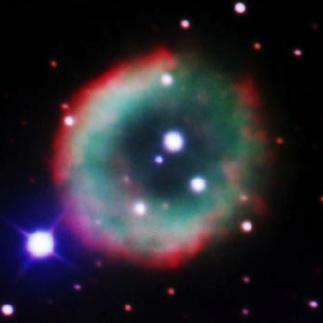 Detail from above image - showing the planetary nebula.